Tent caterpillars are a very active pest from year to year. They have ferocious appetites and will eat most any plant they find. Their nests are unsightly and their eating will injure plants. 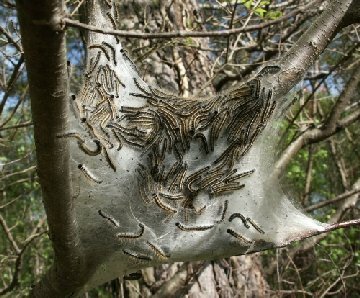 Tent caterpillars hatch from eggs in early spring. Though barely noticeable during this young stage, they will become active as local plant life starts to grow its spring foliage. It is this foliage the caterpillar larva need. They will eat what they can find and if the host tree or shrub on which they originate does not provide adequate food, they will migrate to local plants. For the next two months, the larva will feed during the day growing bigger and bigger. At night, they will return to their host tree and start to spin a constantly growing “tent” in order to accommodate their ever increasing size. This tent will become more and more apparent as spring turns to summer. Generally unsightly, they are white and silky looking usually appearing where limbs of the host tree grow in two separate directions. This forked location provides a good strong foundation on which their nest can support the ever-increasing weight of the local colony. The “tent” that houses a colony can start small and increase in size to cover a whole branch or section of a tree. 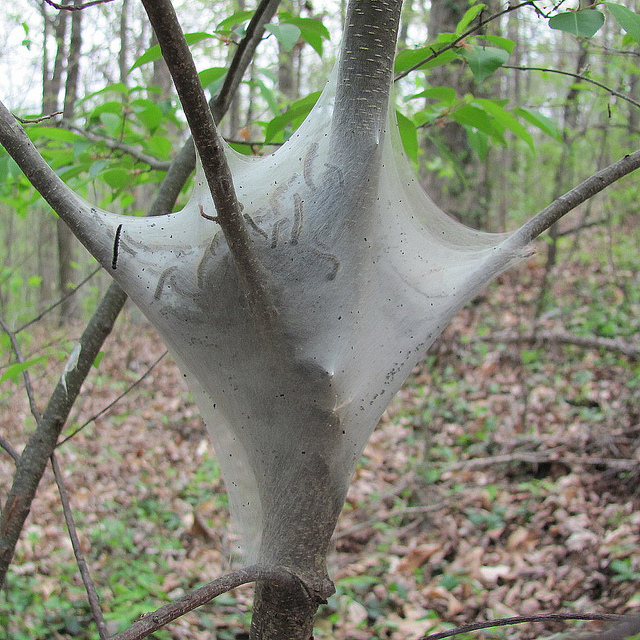 Tent caterpillars can do a lot of damage when they feed. Although their feeding only defoliates host plants and rarely causes immediate problems, plants that have lost a lot of leaves will suffer later in the growing season. Besides looking odd with no leaves, they won’t be able to perform normal photosynthesis, they will have to spend a lot of time and energy growing new leaves to replace those which were lost and because of this, will be a lot more vulnerable to other problems like disease and parasites. In general, its not good to let tent caterpillars have their way when they identify a plant on which to feed. 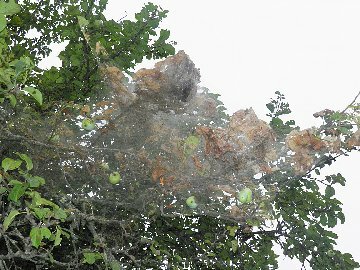 There are several ways to control tent caterpillars. While the tent is small, you can cut it out of the tree and dispose of or burn it. 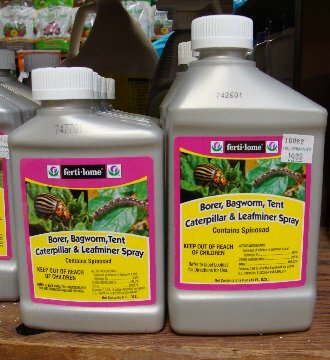 You can also use an insecticide that has tent caterpillars on the list of insects it will control. As well as spraying the affected foliage, you should tear the nest open and soak it down good with the spray. 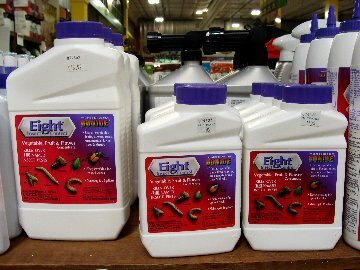 Bonide Eight, available in concentrated or ready to use formulas, and Fertilome Borer, Bagworm, Tent Caterpillar and Leafminer Spray are products that we carry and recommend for the control of Tent Caterpillars.